In Africa, the Sjambok (Sham-Bawk) is a cattle prod, a whip, a riding crop and a means of self-protection. Unlike most western style whips, the Sjambok is not plaited from thin leather thongs. Instead, it is carved whole out of very thick Hippopotamus hide. Its considerable reach, lightning speed and devastating impact have built it quite a reputation as a sure defense against deadly snakes. Since the Sjambok is swung like a rod or stick and not cracked like a conventional western style whip, the weight, speed and flexibility of the Sjambok’s lash does all the work and little skill is required to wield it effectively. Today Hippo hide is pretty scarce and not commercially viable, so Cold Steel has decided to make a synthetic version of the classic Sjambok. Featuring a thick, beefy lash, injection molded from polypropylene and equipped with a soft comfortable Kraton handle designed to resemble braided leather, our synthetic Sjambok rivals the look and performance of even the most expensive originals. What’s more since it’s made entirely from super tough plastic it’s impervious to the elements and will never break, crack, shrink or mildew like leather is prone to do. Keep a Sjambok handy in your vehicle. Lay it across the dash, stash it behind the seat or toss it in the bed, trunk or boot. Hang one on the wall near the door of your home, shop, barn, coop or kennel. And don’t forget to loop one over your saddle horn every time you go riding, as our Sjambok is sure to be the most useful and effective whip you have ever owned. Weight: 14.2 oz Handle: 10 1/4″ long. 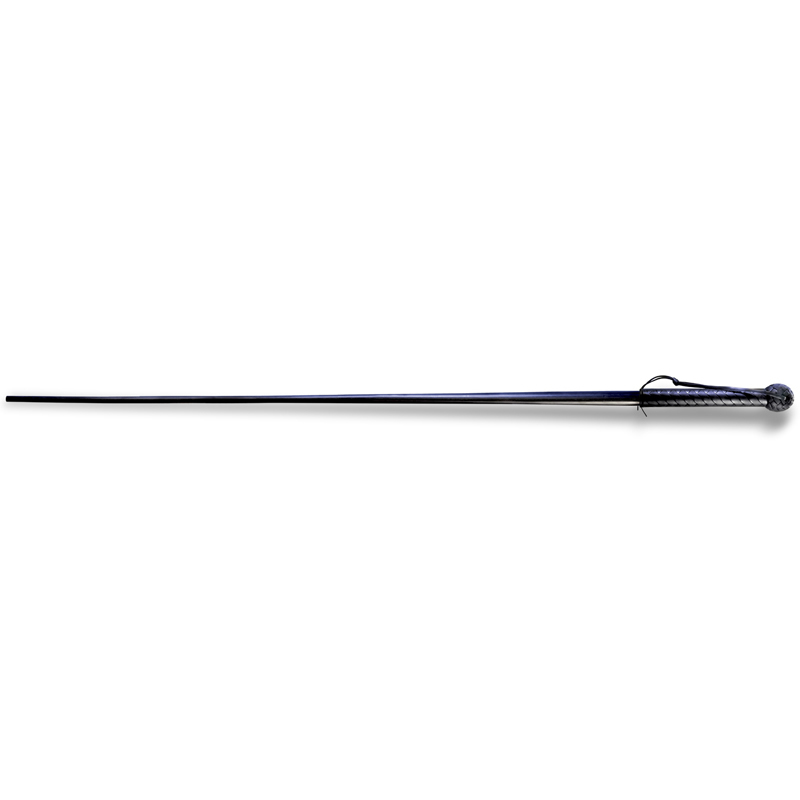 Tip: 1/2″ Overall: 54” Material: Kraton handle w/extruded black plastic lash.